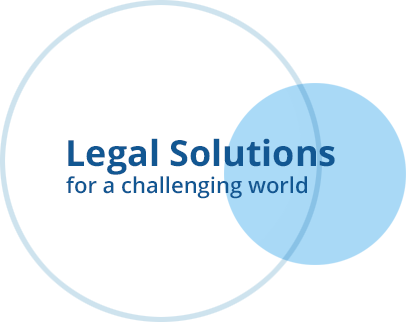 Our Litigation, Arbitration and Dispute Resolution professionals are experts in dispute resolution and act as legal counsel in lawsuits conducted before the courts and in institutional and ad hoc arbitration proceedings before the principal domestic and international courts of arbitration. As government enforcement activities become increasingly rigorous and intense in most countries, antitrust and competition laws are having a growing impact on businesses operating domestically, regionally and in the global market. Mitrani, Caballero & Ruiz Moreno has significant experience in the structuring and implementation of transactions involving the acquisition and disposition of real estate and property portfolios, leasing and sale-leaseback transactions. Our lawyers frequently play a key role in the financing, construction, development and management of real estate projects. Mitrani, Caballero & Ruiz Moreno is committed to providing the best corporate legal advice to our clients, which rely on our professionalism, experience, commitment and creativity to operate more effectively in a global business environment. Mitrani, Caballero & Ruiz Moreno is a leading firm in M&A transactions, from small private acquisitions to large cross-border public deals involving multiple jurisdictions. We represent buyers, sellers, and advisers in planning, negotiating, and executing mergers and acquisitions in Argentina and overseas. Mitrani, Caballero & Ruiz Moreno provides expert advice to clients on registration, protection and licensing of patents, trademarks, trade secrets, copyrights, software, entertainment content and technology. In recent years, a return to an active role of the government and increased government regulation of the economy has become a world trend. Argentina is no exemption. Doing business in an increasingly regulated economy requires understanding the implications of these complex and fast-changing rules and securing practical advice on how to approach public law issues. Mitrani, Caballero & Ruiz Moreno’s Insolvency and Restructuring practice provides outstanding legal advice in complex insolvency cases and corporate restructuring proceedings. Mitrani, Caballero & Ruiz Moreno advises financial institutions and corporate clients on a wide array of banking and finance matters. The firm has substantial expertise in handling acquisition financing transactions, and has acted as international lead counsel in connection with various syndicated loan agreements for cross-border transactions. Our Tax practice works with Argentine and international clients to address a full range of strategic tax planning issues, working in concert with the firm's other practice areas to provide comprehensive advice and guidance. Mitrani, Caballero & Ruiz Moreno regularly advises local and foreign clients on domestic, international and transnational employment and social security issues, ranging from day-to-day employment matters to those involved in complex cross-border M&A transactions. Mitrani, Caballero & Ruiz Moreno’s Compliance and Corporate Crime practice is dedicated to developing measures and procedures to prevent, detect and combat fraud, ethical misconduct, and other violations of laws and regulations governing corporate activity. We seek bright and innovative attorneys and law students, with talent and drive to take on new responsibilities and handle stimulating and sophisticated work. At the Latin Lawyer 2019 Awards, our firm, which was nominated for Latin Lawyer Deal of the Year Awards in the Private M&A and Private Equity categories, received the Deal of the Year – Private Equity Award.